By Matt Free Posted 31/01/2013 under Press Release. 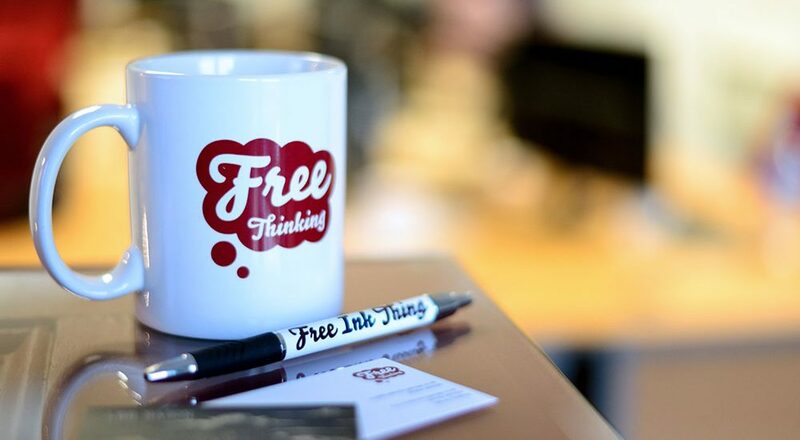 Peterborough agency Free Thinking Design is celebrating its fifth anniversary with an office move and a new member of staff. The business was started by Matt Free, offering print design and production, from home. Within a year there was too much work for one person and Matt coaxed Lee Mason, a web designer for an international company, and part time promoter and designer, to join the business. The rapid growth of the internet and the realisation among companies that a user-friendly, well-designed website was key to their success was good news for the agency. Further expansion saw a move into formal office space and the recruitment of experienced developer Dan Crack. Now, just five years after the inception of Free Thinking Design, the agency has three directors, three members of staff and has just moved to a new, larger office. The range of services on offer is constantly expanding. Many of those individuals and business are still clients, sitting alongside a number of larger companies and national charities. Each member of the team has brought a new specialism to the firm which offers graphic design including branding, logos, illustration and printed materials; responsive website design, development and support. Newest member of the team, Matt Reedman joined as a developer at the end of 2012 and is an expert in building dynamic websites. “Matt’s experience has enhanced the team further and enables us to grow new areas of the business,” said Matt.